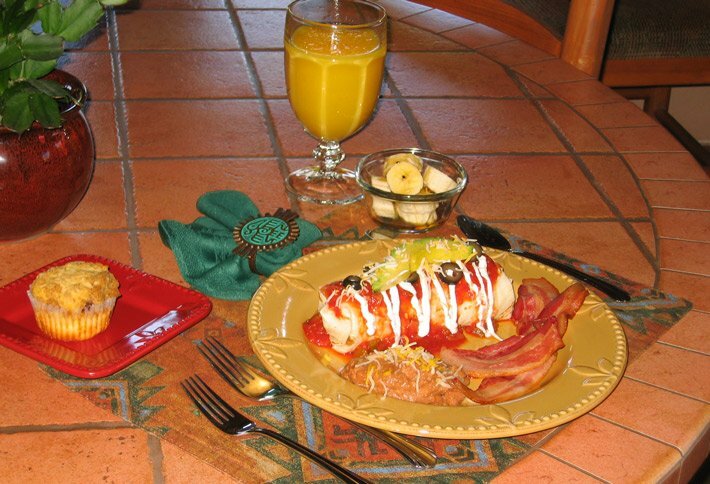 One of the best things about our Sedona Boutique Hotel is the Breakfast! Our mornings start with our freshly ground Dancing Goats Blend coffee that we special order from a coffee roaster in Olympia WA. We also have available, assorted teas and juices. 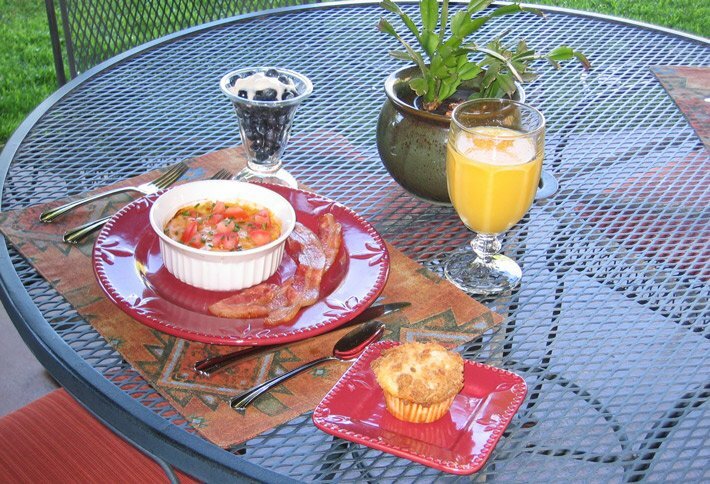 Once you choose a place to sit, either inside the dining area or outside on the patio, we start your 3 course breakfast adventure. The first course is a seasonal fruit dish to wake up your taste buds! This is followed with a coffee cake, fresh baked muffin, scone or other warm from the oven delight. Our main course and side dish is unique and varied and designed with you in mind. We also offer a cereal bar with assorted cereals, yogurt, and our homemade granola for those who want something lighter or different from the main course we are serving that day. We are happy to work around your dietary needs such as Lactose Intolerant, Dairy Free, Gluten Free, or Vegetarian. Please let us know about your special needs when you make your reservation and when possible we will plan around them. 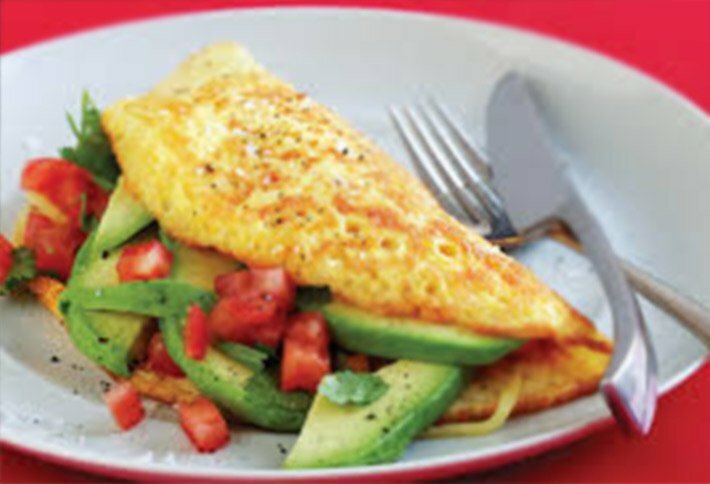 Our unique breakfast items change daily (not a rotated weekly menu) and are always made from the freshest ingredients available and almost always made from scratch. There are many more main courses we make! Our breakfast hours are 8am - 9am. Please take this into consideration when scheduling your tours so you do not miss out on our yummy breakfast!